As Christmas cheer fills the air and excitement takes over our senses, we know December 25 has arrived! On a magical day like this, why not whip up a breakfast your whole family will dazzle over? 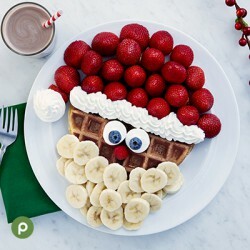 Make your Christmas morning merry and bright with these fun breakfast ideas. 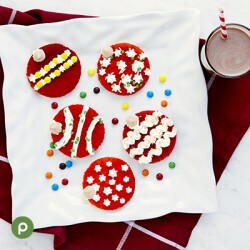 Start by whipping up your favorite pancake or waffle mix and try one of these creative dishes! 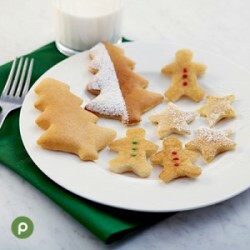 Pancakes: Grab your favorite stainless steel cookies cutters and spray both the pan and cutouts with butter. Some of our favorite shapes are stars, Santa hats, and snowflakes. Place the cutters on the skillet and fill with pancake batter. Cook the pancakes according to the instructions in the recipe or package, occasionally flipping until golden brown. cookie cutters to carve out unique shapes! 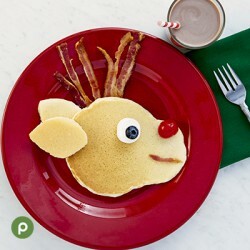 With a few extra ingredients, you can turn your breakfast foods into fun, festive creatures. Use your imagination to turn a traditional dish into something special. This option is easy! Stir up your batter and add a few drops of food coloring. Our personal favorite is the green! 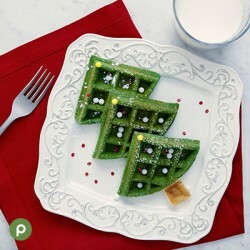 Once your pancakes or waffles are ready, serve them on a cute dish. Want to keep things simple but still have a little pizazz? Offer a toppings bar. This is great if you have a full house! Each of your guests can add exactly what he or she likes. Wake your family up with a delicious breakfast! What will you choose? Sasha W. began her career at Publix in 2007 as a cashier and has since gained experience in both Event Planning and Social Media – which is perfect, because the combination of those two interests are what drive the writing behind her favorite blog posts! A New England girl turned southern belle, Sasha loves taking her puppy on tropical adventures all throughout Florida. Describing herself as fifty percent manatee and fifty percent flamingo, Sasha hopes to bring fun and unique ideas to your future events!